Whatever Happened to Padmé Amidala? Last week, online Star Wars fandom went into a brief tizzy over Padmé Didn’t Die of a Broken Heart, an essay by Joseph Tavano for his blog RetroZap!. While I see things somewhat differently from Joseph, his piece stirred up enough thoughts in me that I thought a response was warranted. I’ll summarize his point briefly in the next paragraph, but as these comments stem almost entirely from that piece, I strongly recommend reading it first if you haven’t already—and maybe bookmark RetroZap! while you’re at it; who knows what he might have to say in the future. Okay? Let’s do this. The primary assertions here are that 1) per the title, a “broken heart” had no role in Padmé’s death, 2) Palpatine used his influence over midi-chlorians to drain the life from her and into Anakin during his transformation into Darth Vader, and 3) this is “irrefutably” proven by Palpatine’s immediate knowledge of Padmé’s death, which would only have been possible if he’d orchestrated it. So I’m with him on the first point—both philosophically and pragmatically, that’s a silly idea and only makes Padmé’s already-iffy character arc even weaker. 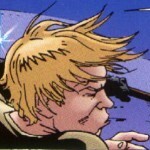 And furthermore, aside from her being seemingly unconscious for a while, there’s no indication that the struggle with Anakin and her brief choking had anything to do with it either, as she stays alive for hours at least (if not much longer—but more on that in a moment) and doesn’t seem to have that much trouble breathing at the end. Here’s the problem with this: it’s a movie. Could those two scenes, Padmé’s death and Vader’s birth, be happening at the same time? It’s plausible. The film crosscutting between them as it does is certainly a deliberate means of contrasting these two significant events—but the film doing that doesn’t mean that’s how it’s “really” happening. The overall theory has a lot of merit, but explicitly hanging it on that assumption, I feel, was a mistake. Between ever-ambiguous hyperspace travel times and the “realities” of the two medical procedures we’re dealing with, there’s simply no way to say conclusively when these two events happened in relation to each other. It’s worth noting, though, that Obi-Wan was already long gone from Mustafar by the time Palpatine showed up, and even if you throw out the Legends galaxy map, the film itself places it in the Outer Rim, which makes it pretty likely that Corucant was a longer trip than Polis Massa. That combined with the fact that Palpatine does know about Padmé makes me pretty confident in asserting that she died well before Vader stood from that table—easily a day or so at least. So in conclusion, while Joseph’s theory is solid and hard to definitively disprove, it’s not totally convincing, either. His second point, though, is what really interests me. The thing that’s always stood out to me about this sequence of events is that, in Joseph’s words, “Palpatine is having the best day of his entire life.” He’s at the absolute height of his power (at least up to that point), he’s beaten Yoda, he was indeed able to sense Vader’s situation from across the galaxy, and hell, it’s not crazy to think that he could have sensed Padmé’s death, even if he wasn’t doing it himself. But if he’s that much of a badass in this moment, how the hell could he not sense that the twins were alive? More than the exact nature of Padmé’s death, this is the thing that I wouldn’t mind a better answer to. Where I do agree with Joseph is that the Force clearly has a hand in what’s happening on Polis Massa and that’s why the droid doesn’t understand it. But I’m not seeing malevolence there, I’m seeing benevolence. As I’ve discussed before, the Force is playing the long game, and it knows that Anakin’s kids are a key component in what has to happen. My opinion (and it’s just that, but I do think it makes Revenge of the Sith a little more palatable and hopeful in retrospect) is that the Force is protecting the twins from Palpatine’s gaze—masking their life force even as Padmé’s is fading. There’s no other explanation for Palpatine’s ignorance that doesn’t make him look either weaker than he should be or just plain sloppy. He couldn’t have had one of his informants on Naboo inspect Padmé’s body? Of course he could, but why would he need to if the Force itself told him the babies were dead? But what, then, kills Padmé? Well, there are a couple options. She and Anakin did indeed have a special bond, so it’s possible that he was subconsciously leeching her life away to save himself—which means Palpatine tells him the literal truth, which is generally his preferred modus operandi if you ask me. I think I prefer another option, though—I think the babies were dying. According to Legends they were a much-faster-than-natural pregnancy, interestingly, and even the movie makes it clear that they were coming out prematurely. 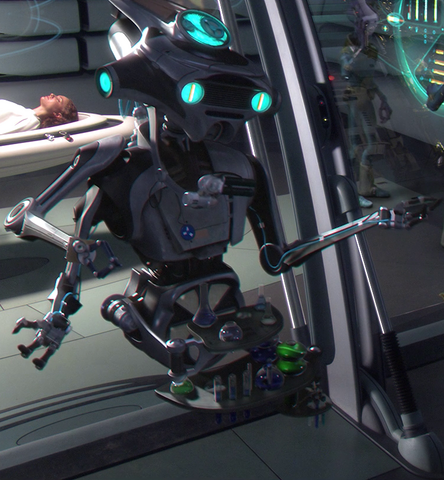 My bet is that the stress of Mustafar (and, yes, the choking incident) was too much for the gestating infants inside Padmé’s body, and as her last act—and with the cooperation of the Living Force—she intuitively gave her life force to them. That way, Padmé’s death becomes a proactive decision: either keep living or save the babies. It’s the badass ending Leia’s mom deserves, and it furthers her role as an instrument of the Living Force besides. And hey—it could even explain why the babies in the film were so damned big. While I think you’re right that it’s a construction of the film-making that makes the viewer believe these events are happening simultaneously, the movie does work hard in the third act (Order 66 on) to present the event as happening at the same time – Order 66, the attack on the Temple, and the parallel battles on Coruscant and Mustafar. That being said, I think this is a question similar to the question, “How long did Luke train with Yoda?” Based on the film, it seems like a few days – a few weeks at most. But if your answer is, “Well, however long it takes to get from the Hoth system to the Anoat system on sublight engines,” it’s considerably longer. Both answers have implications for the characters and the rest of the film – just like the question of whether Padme was dying as Anakin was being resurrected. Well the Order 66 sequence obviously happens all at once because it has to—the longer it takes to get the order out the less effective it’s going to be. Come to think of it, Palpatine addresses Cody by name so we know he made a special call just for Obi-Wan; it might have been a good idea to hit Yoda first. In any event, though, I don’t think that applies to anything past that. The only indicator we’ve got is Palpatine sensing Anakin is in danger—but that could be at any point Obi’s on Mustafar; it could even be a premonition and Obi isn’t even there yet. So I think you’re making a HUGE awesome point on the idea that the twins were in trouble – this is a straight up fact. Most twins are born a month or more early (that’s 36 weeks, though 38 weeks is considered full term, we’re usually aiming for 40 weeks) and have every potential to be earlier. I don’t have a good measure for the continuity or what point she was at in her pregnancy (LOL she wasn’t NEARLY large enough to be carrying full-term twins, although admittedly every woman carries differently. But Padme and I are of a size, and I’m huge already, heh). I don’t know how much other than their maturity would really cause fetal distress – this is of course incredibly individual. For my own part, I already have high blood pressure and that put me at a near 50% risk of developing preeclampsia (fortunately they have good meds for this and both baby and me are awesome); carrying multiples places one firmly in the high-risk category, too. It IS possible for trauma to cause labor, but that’s usually an effect on the mother, not the babies (who are protected extraordinarily well by the uterus, amniotic fluid, and the physical substance of their mother’s body). But again, this is going beyond your standard medical problems – when the Force is involved, things are going to be different. These are Force-sensitive babies, so there’s that. Like a lot of film and TV, pregnancy and birth isn’t really dealt with in a realistic way (probably because in reality IT TAKES FOR FRIGGING EVER, your standard labor and delivery is around 18 hours, and ain’t nobody in a movie got time for dat). For the most part it’s safer and more easily managed that it’s presented, but that’s not dramatic or interesting in storytelling, so there you are. Also all newborns in film being 3 month olds, hurhur. Personally, I think both theories hold water in light of what we’re given to consider. I like the very Lily Potter idea you’ve come up with, too, a mother protecting her children; it still has the romantic, dramatic flair without being purely a construct of evil. Man, now I wish I’d consulted with a pregnant woman when I was writing this. 😉 It’d actually be especially interesting to hear how someone who’s carried twins to term reacts to what the movie shows—even just on an instinctual level. Regarding the original theory, it was pointed out to me earlier that it’s possible for both of us to be right: Palpatine reaches out and kills Padmé, in response to which the Force reaches out and saves the babies. Of course, that still leaves her a clueless victim, which is the real issue here.